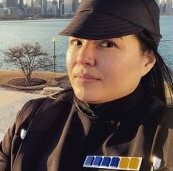 Looking for equestrian riding boots for my fiance, so she can submit her ESB line officer to the 501st. Looking for recommendaitons where i could find riding boots that are acceptable for women. The boots are probably going to be the hardest thing to source, but that's largely dependent on the size needed. There are tons of options, actually, on eBay...but they tend to all be small sizes available. The biggest complaint I see when it comes to sourcing boots is the calf size being too small. I have a hard time with this as well. Obviously reference the CRL on the boot, and make sure you're picking the correct look. Also, have you gotten on the IOC forums? There's a lot of information available there, as to where to buy (and where NOT to buy). Avatar190 wrote: The boots are probably going to be the hardest thing to source, but that's largely dependent on the size needed. There are tons of options, actually, on eBay...but they tend to all be small sizes available. The biggest complaint I see when it comes to sourcing boots is the calf size being too small. I have a hard time with this as well. i have, i just wanted to avoid a question that i am sure has been asked a million times over there. thanks for the suggestions, i'll look into them! I just finished my officer kit with a pair of Imperial Boots that I had to get custom work done on to fit the calves. IB does their sales in waves, and come without insoles so you can get your own. I'm pretty happy with them.